Do you have news, reviews or comments for 'The House With A Clock In Its Walls'? Jack Black and Cate Blanchett star in this uninspiring tale of a lonely, recently orphaned boy with supernatural skills. A cast including Jack Black and Cate Blanchett lifted the family drama to timely top position while Paul Feig's A Simple Favour took runner-up slot. The super villain movie based in the Spider-Man universe hit the right note with movie goers this weekend and scored an excellent $80 million debut. The film stars Tom Hardy as the title character and is directed by Ruben Fleischer and despite mixed reviews sets records for an October debut in the US and has set up a new Marvel (not MCU) franchise. Directed by Bradly Cooper and starring himself and Lady Ga Ga the dramatic comedy scored well with reviews but didn't quite have what it takes to beat a Marvel super villain (hero) movie and made its debut with $41.2 million, half that of Venom. The animated comedy is at number 3 this week with a second weekend gross of $14.9 million which brings the films total US gross to $42.7 million after 2 weeks of release. After an impressive top spot debut last weekend the romantic comedy falls hard this week to number 4 after taking $12.2 million, this brings the films total gross to $46.7 million after 2 weeks of release. The Eli Roth directed film has done really well at the box office and on its third week takes $7.2 million which brings the films total US gross to $55 million. 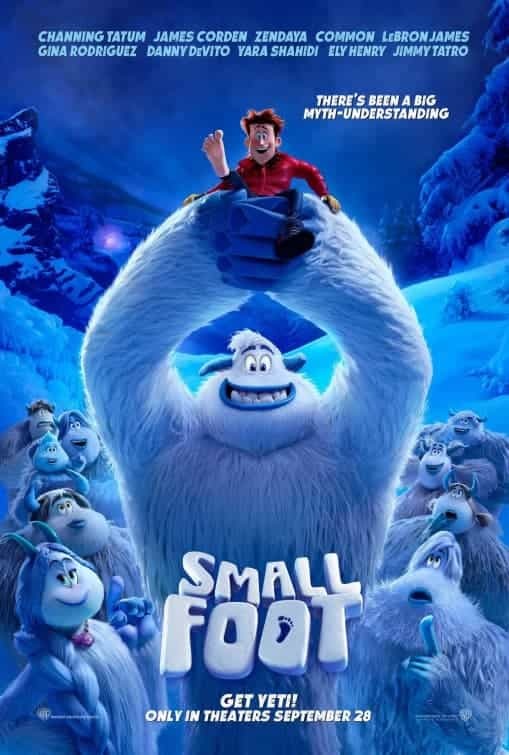 Smallfoot takes over at the top of the global box office ahead of Night School nocking The Nun from the top down to number 4. The Animated family comedy expands to 50 countries this week and takes $37 million at the global box office, this brings the films total gross to $38.6 million. 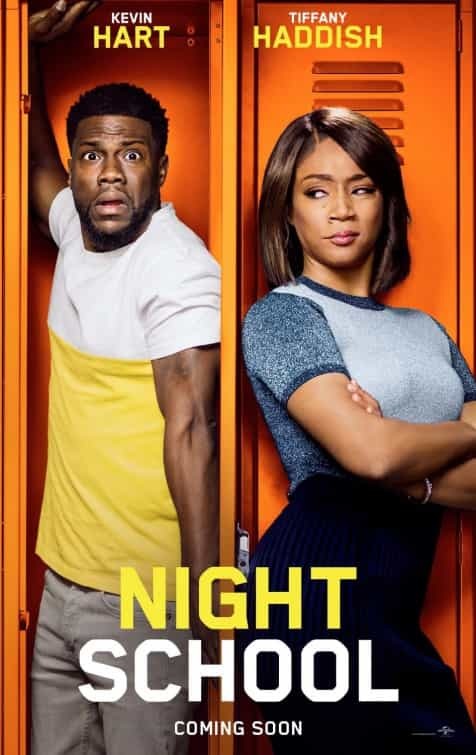 Making its debut at the global box office this week the film starring Kevin Heart and Tiffany Haddish is showing in 20 countries and takes $33.5 million. The mystical comedy on its second week of release takes $21 million from 24 countries which boosts its total cume to $65.7 million. Still showing in 81 countries the horror film from the Conjuring universe takes $21.6 million which takes its total global gross to $330 million, its is now by far the top film within the Conjuring series of films. Expanding to 41 countries this week the Rowan Atkinson starring film takes $14.2 million which takes the film total gross to $44.2 million. Another change at he top of the US box office this week as romantic comedy Night School takes over from The House With a Clock In Its Walls on its debut weekend. Starring Tiffany Haddish and Kevin Heart the Malcolm D. Lee directed movie took $28 million on its debut weekend of release wich was enough to take it to the top despite the poor critical response. Coming in at number 2 this week the animated comedy starring the voice of Channing Tatum could quite beat Night School and took $23 million for the weekend. Falling from the top to number 3 this week on its second weekend the film took $12.5 million boosting its total US gross to over $44 million. Dropping to number 4 this week the Paul Feig directed film takes $6.6 million on its second weekend to take its total US gross to $43 million. Finishing of the top five the horror film based in the Conjuring universe takes $5.4 million on its fourth weekend of release to take its total cume to $109 million making its top grossing film the the film universe.